1st Blend is our portfolio of “pour and plant” hybrids that include above and/or below ground insect traits with the refuge component blended into the bag. 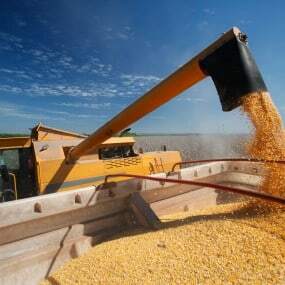 1st Blend includes SmartStax® RIB Complete® corn blend, Genuity® VT Triple PRO® RIB Complete® corn blend, VT Double PRO® RIB Complete® corn blend and Agrisure 3122 E-Z Refuge™. 1st Blend OPTIONS represent the highest yielding germplasm available with the convenience of a blended hybrid that avoids structured refuge requirements for most of the Corn Belt. This early season hybrid has a semi-flex ear style with excellent offensive ability on average and above soils. Medium-tall hybrid with medium ear placement. Semi-flex ear style, typically 16-18 kernel rows. Excellent root ratings with very good stalks. Good Southern movement and fall intactness. This versatile Conventiona1, VT Double PRO® RIB Complete®, and SmartStax® RIB Complete® hybrid combines impressive defensive characteristics with outstanding top-end yield potential to create a widely adaptable hybrid. Widely adapted east to west with excellent southern movement. Impressive disease tolerance for NCL and GLS. 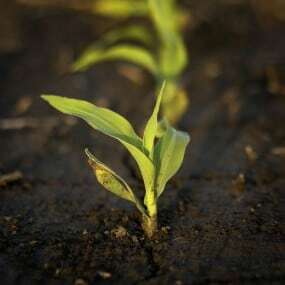 Preforms well at medium-to-high planting populations. This new 108 day VT Double PRO® RIB Complete® brings top end performance on the earlier side of our product lineup! High yielding product for its maturity class! This VT Double PRO® RIB Complete® combines excellent agronomics with top end yield potential. This is an exciting, new Conventiona1 and VT Double PRO® RIB Complete® product with solid agronomics and a high yield capability. Now available as a multiple trait platform; Conventiona1, VT Double PRO® RIB Complete®, and SmartStax® RIB Complete® with tremendous yield potential across a wide range of soil types. Strong agronomic package that helps this hybrid stand well into the fall. Typically 16-18 rows of grain on semi-flex ears. Excellent test weight and grain quality. Very good late season intactness and staygreen. Our soil placement targets for this hybrid tells an awesome story. It is highly recommended for highly productive, moderately productive, and less productive soils. The profiles of this hybrid provide what we consider a ‘step change’ in yield for this highly adaptable hybrid. This hybrid has outstanding yield potential for its widely adaptable profile. The late season staygreen is average but the plant maintains very good intactness. Very good root and stalk ratings indicate a hybrid you can manage well into the harvest window. Drought tolerance has been tremendous in field evaluations. Good late season intactness with average staygreen. Yield winner! This hybrid was the highest yielding new hybrid in 2017’s testing. This strong class of germplasm rose to the top of our replicated and strip trials in the past two seasons. It is available in SmartStax® RIB Complete® Corn Blend and VT Double PRO® RIB Complete® Corn Blend as well as Conventional. This hybrid is widely adaptable for all soils. Unrelated backgrounds in this RM range from our other high yielding choices allow your farm to diversify your genetic families with this outstanding performer. The yield winner last season in our 30 location test for the eastern Corn Belt. This hybrid is all about yield on a very good late season stalk with high test weight grain. Rounding out our lineup is our new hybrid. This versatile hybrid has the ruggedness to handle the toughest environment and still have top end yield when conditions allow. Semi-Flex ear with excellent test weight. Excellent foliar health, excellent NCLB, and good GLS and Southern Rust. Strong performance on all soil types. This is a brand new unique genetic platform is designed specifically for our region. Expect outstanding yields with exceptional drydown for your high management environments. The top yielding hybrid this past season in its maturity zone. Limited supply this first year as we ramp up.